BOM is delighted to present Justin Wiggan’s first solo show 26 October 2016 to 28 January 2017. Life Echo is a groundbreaking experiment in sound and memory, which Wiggan has been developing for over three years. A Life Echo is a personalised soundscape of a person’s most powerful, positive memories. Originally trialled with John Taylor Hospice in Birmingham for patients receiving end of life care, the process involves the creation of a personalised phonic memory map, using sound triggers to stimulate memory, communication and interaction. 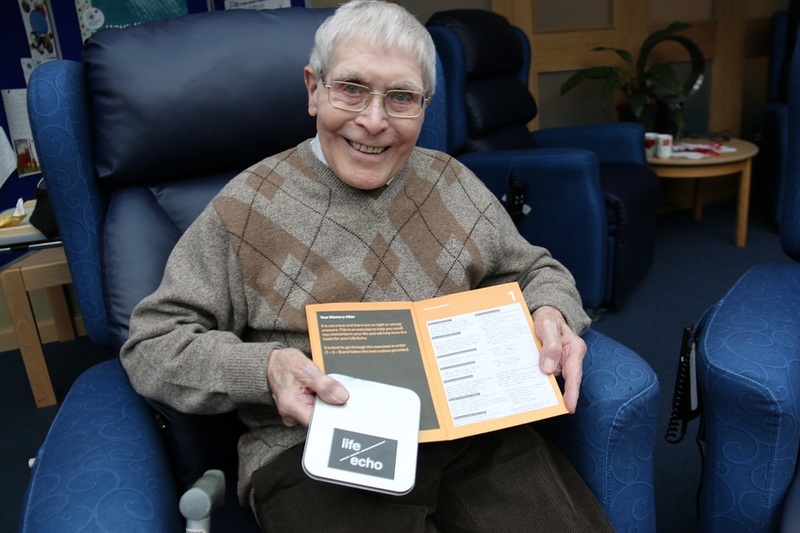 More recently, Wiggan has been working with a range of different groups to see if the technique could be used to create positive memory interventions in everyday life. He calls this process a Life Anchor, which uses the same tools and processes as a Life Echo, but encourages individuals to imagine the memories they would like to experience in the future whilst at a pivotal moment in their lives. Through this art-based enquiry into sound and memory, Wiggan is exploring whether Life Anchor could create positive changes in attitude and behaviour, and the project is soon be undergoing clinical trails. From mid-September 2016 BOM will host a month of engagement with several different groups to test the Life Anchor technique and create new sound pieces for exhibition in Wigan’s first solo show, opening 26 October 2016. Participating groups include Cotteridge school and Winson Green Prison as well as extending the Life Echo trials with St John’s Hospice, Erdington. The exhibition will feature specially designed pods to nestle visitors into the Life Echoes of others, and invites the public to participate in this fascinating experiment by creating their most powerful life memory triggers.